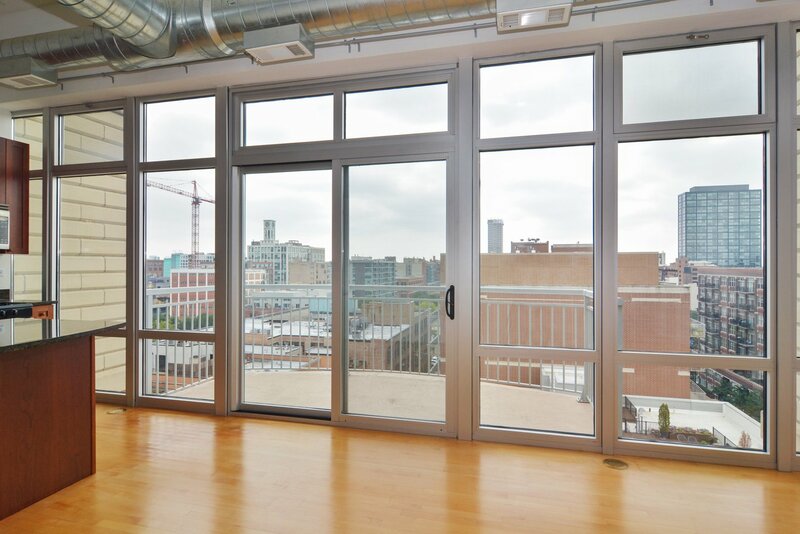 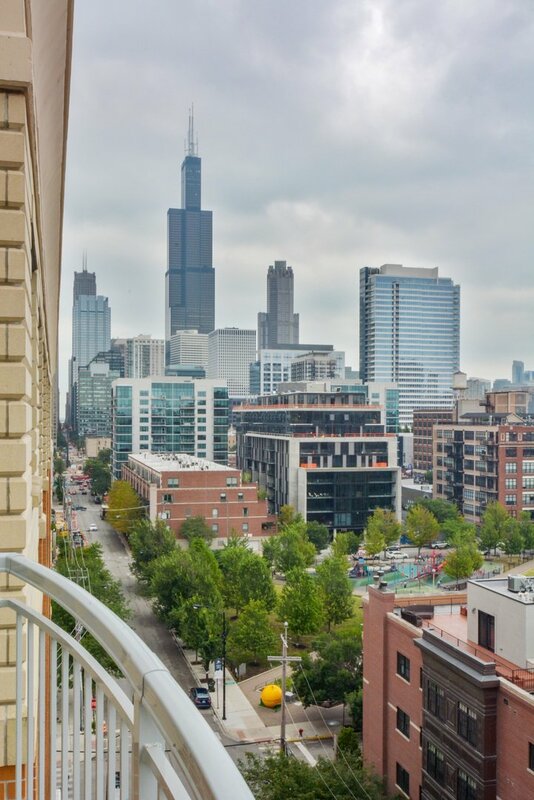 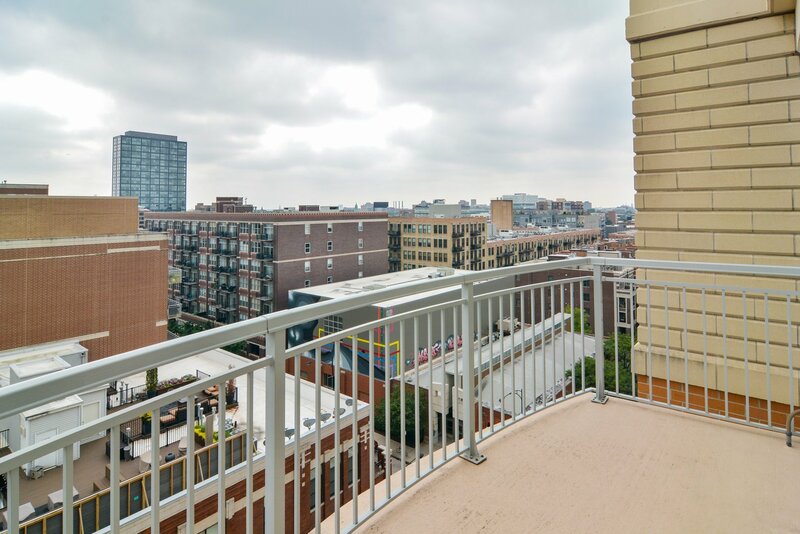 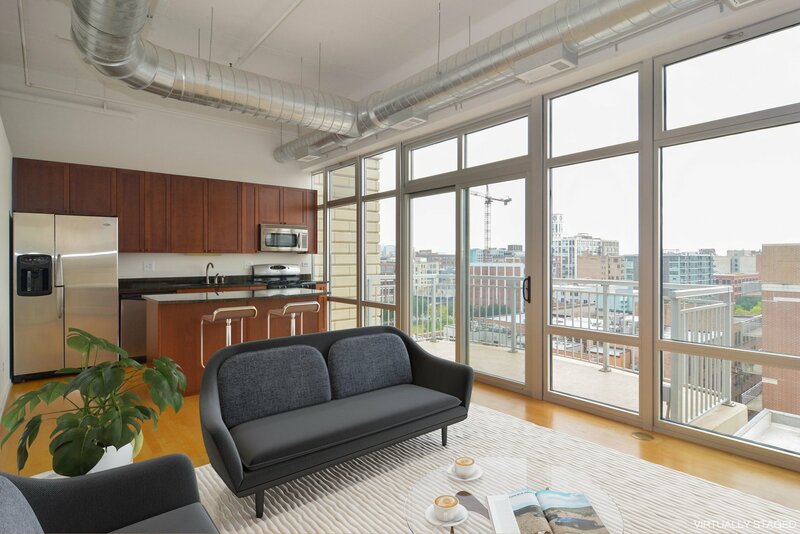 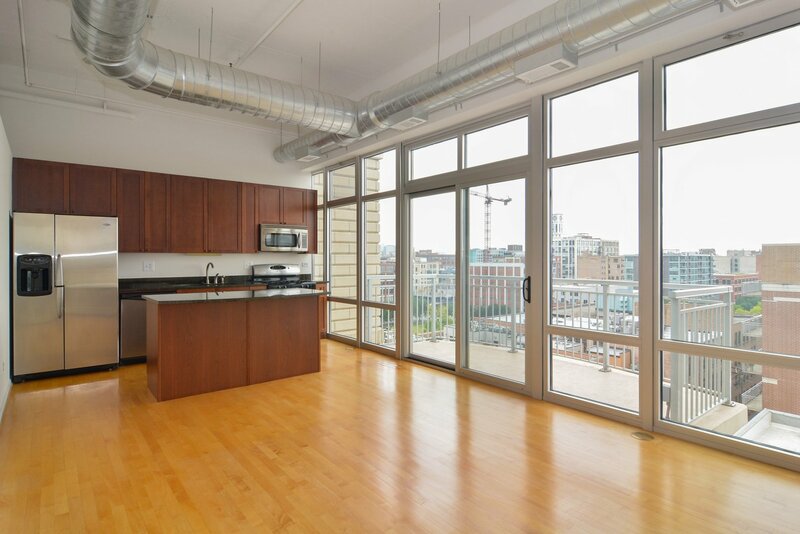 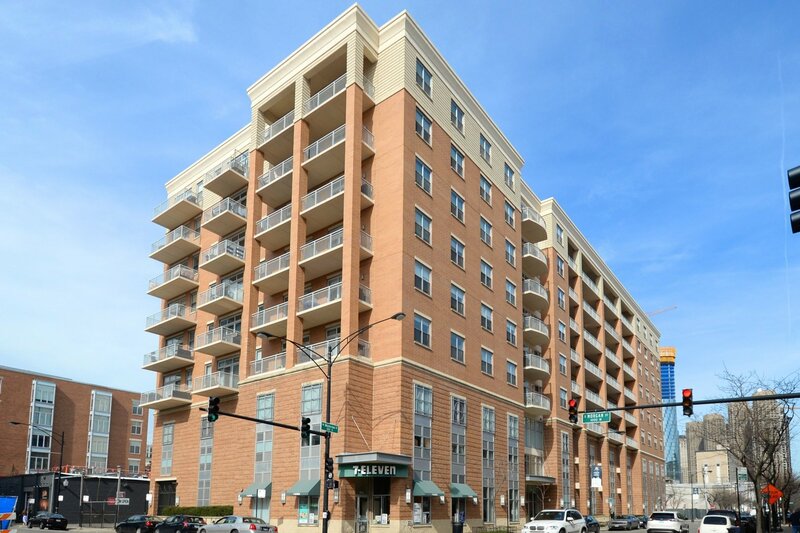 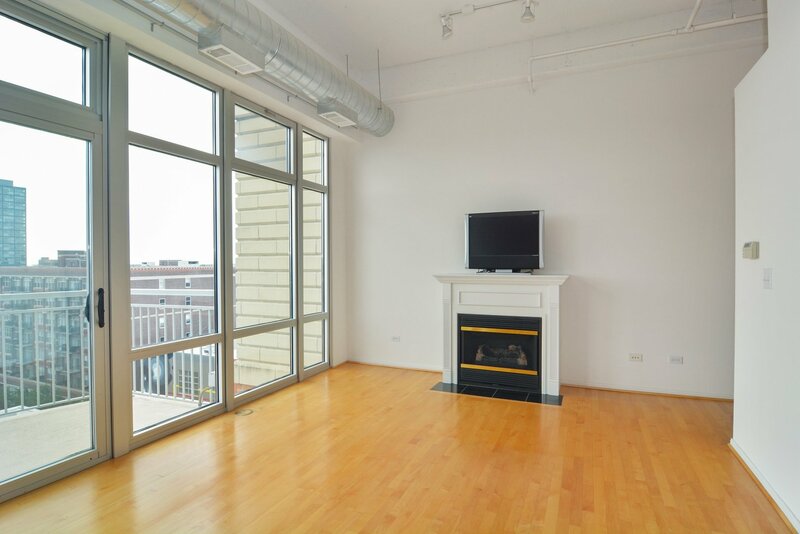 A Must See Top Floor unit in the most desirable area of the West Loop! 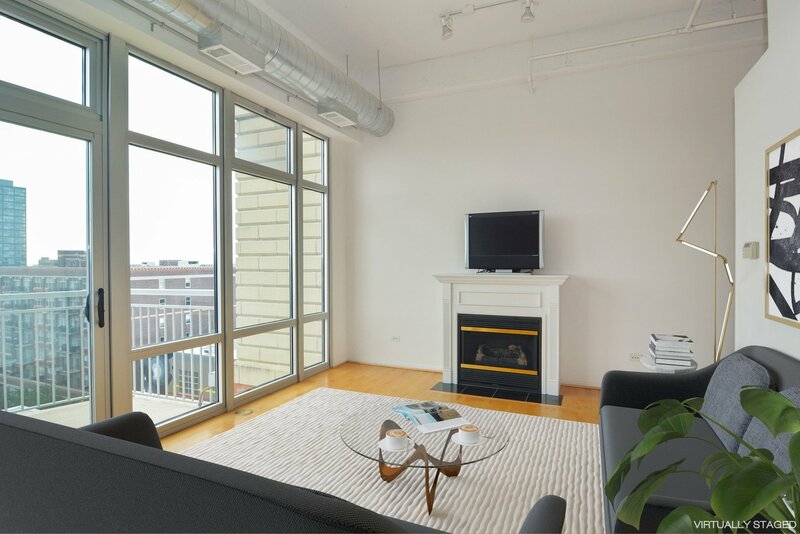 Southern exposure floor to ceiling entire wall of windows create a beautiful sunny and bright living space. 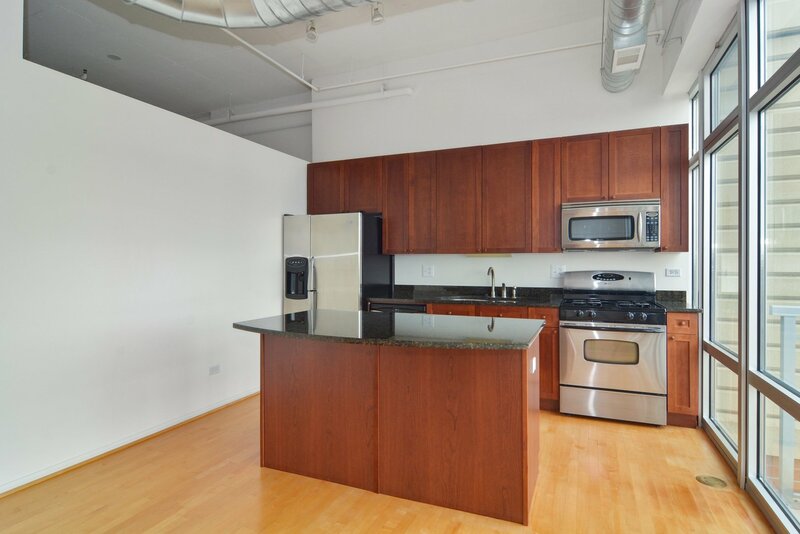 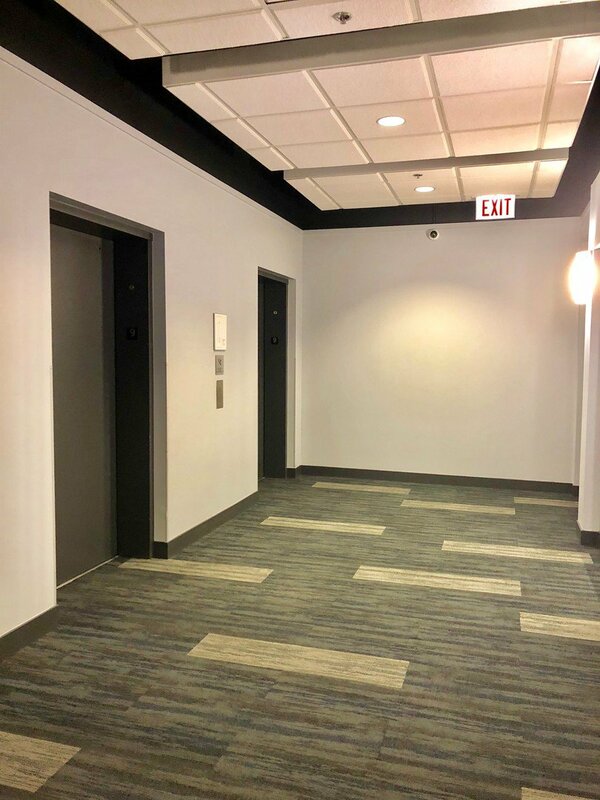 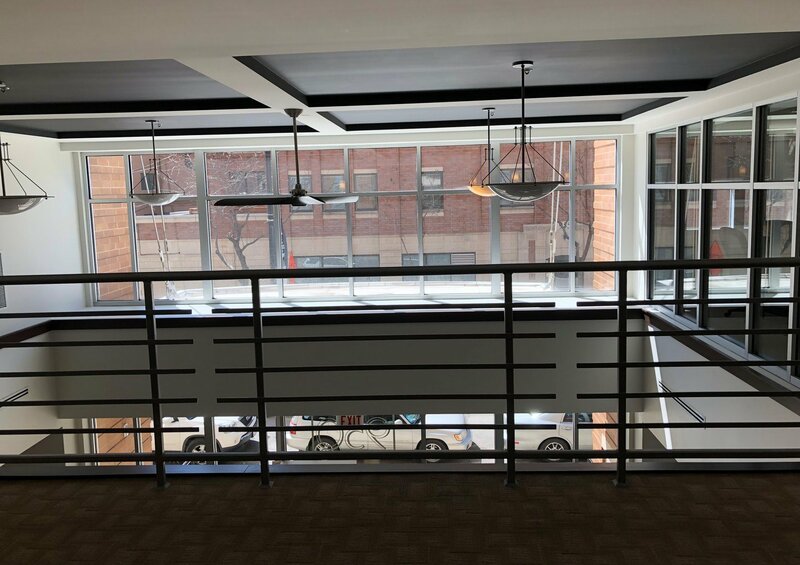 Spacious and updated, this modern loft is located just steps from renowned Chicago restaurants and premier grocery stores, and has immediate driving access to the highway. 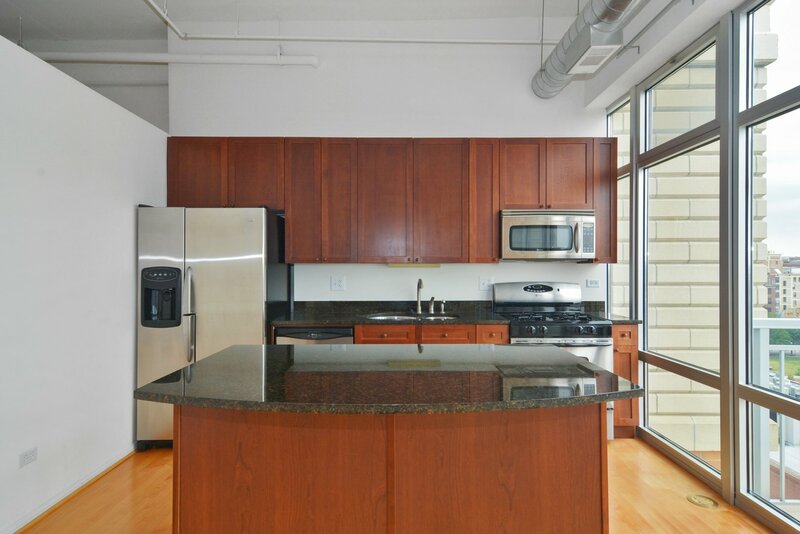 Updated kitchen with 42" cherry wood cabinetry, stainless steel appliances, granite countertops, a cooking and dining island. 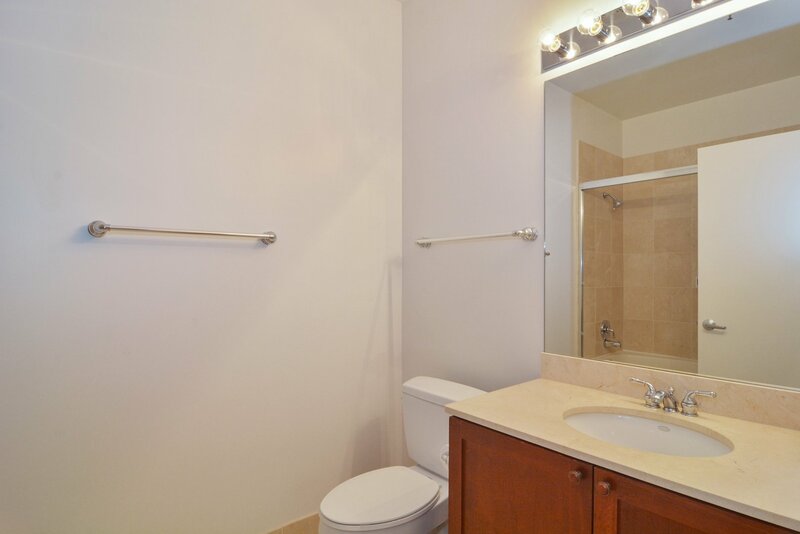 Bath including oversized whirlpool tub, marble tiles. 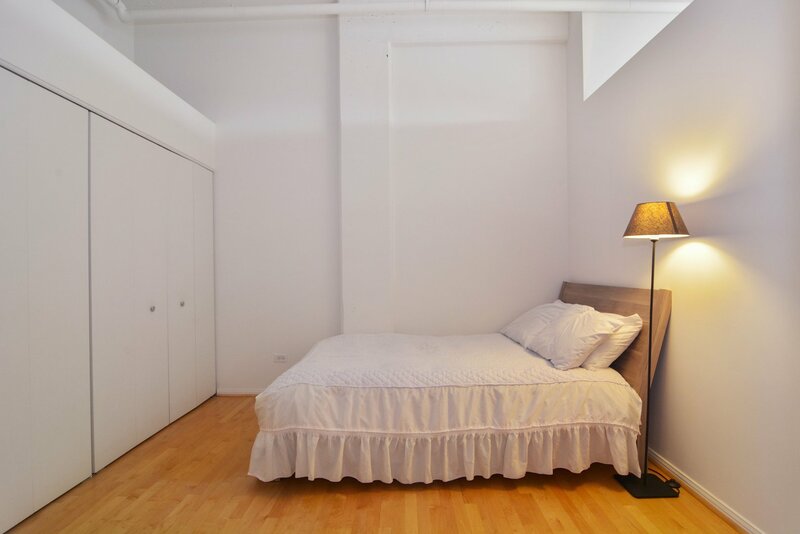 In unit washer/dryer, additional storage space and an Attached Heated Garage ( $30K ). 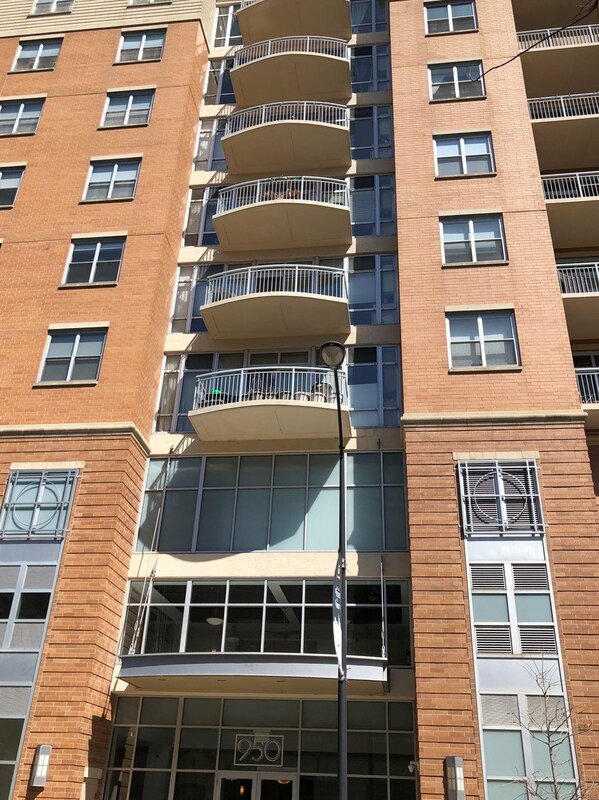 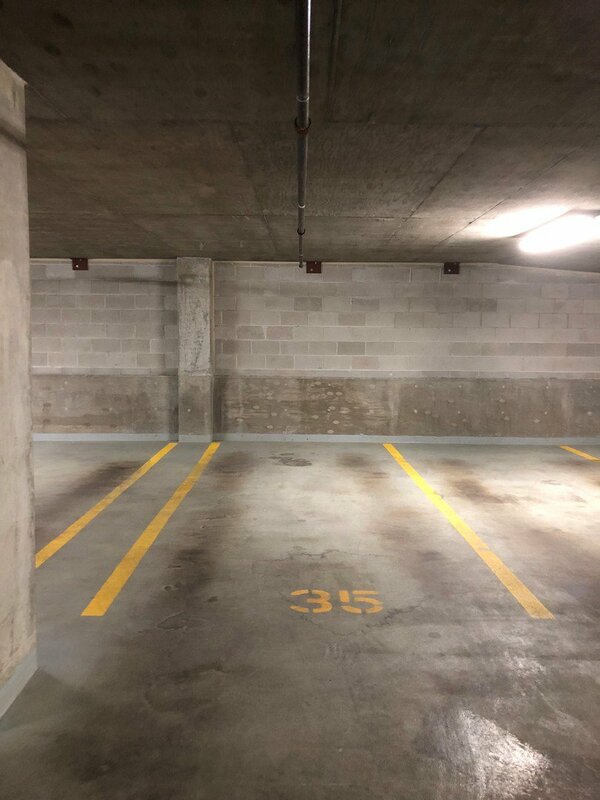 Friendly on-site building management, maintenance crew and doorman provide exceptional service. 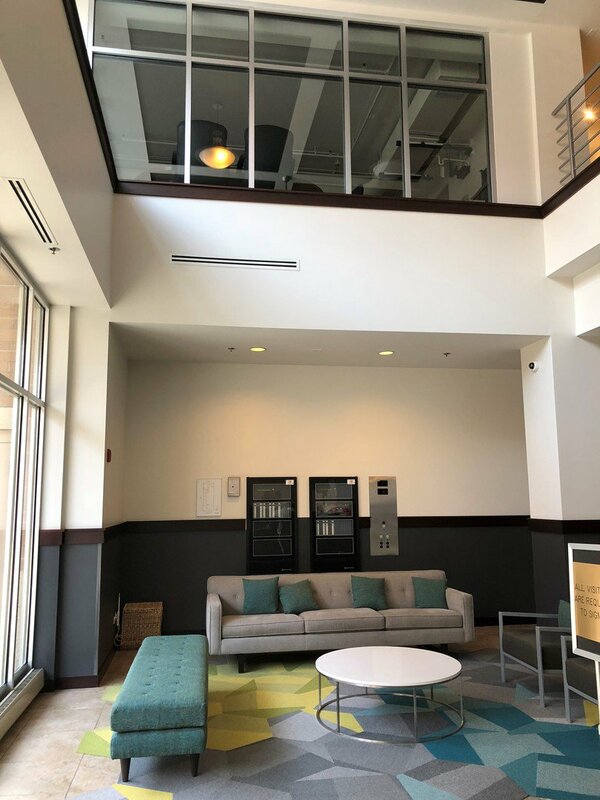 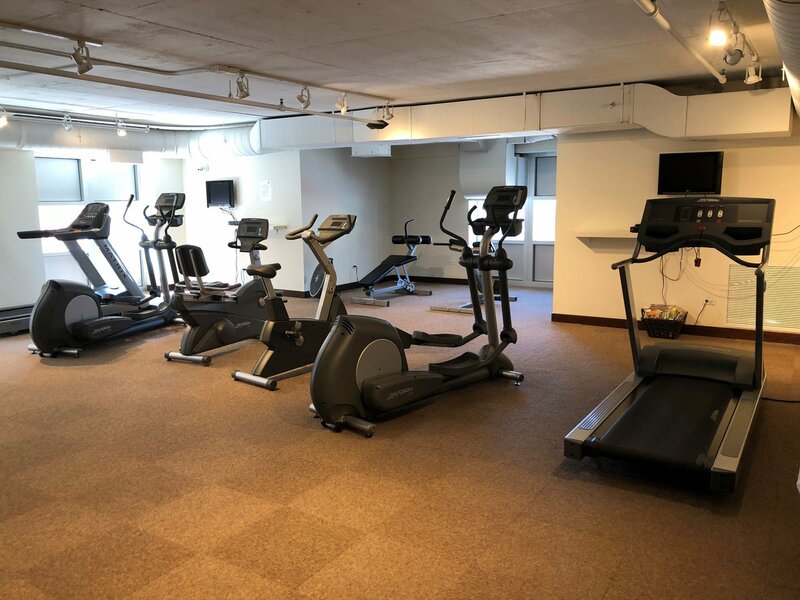 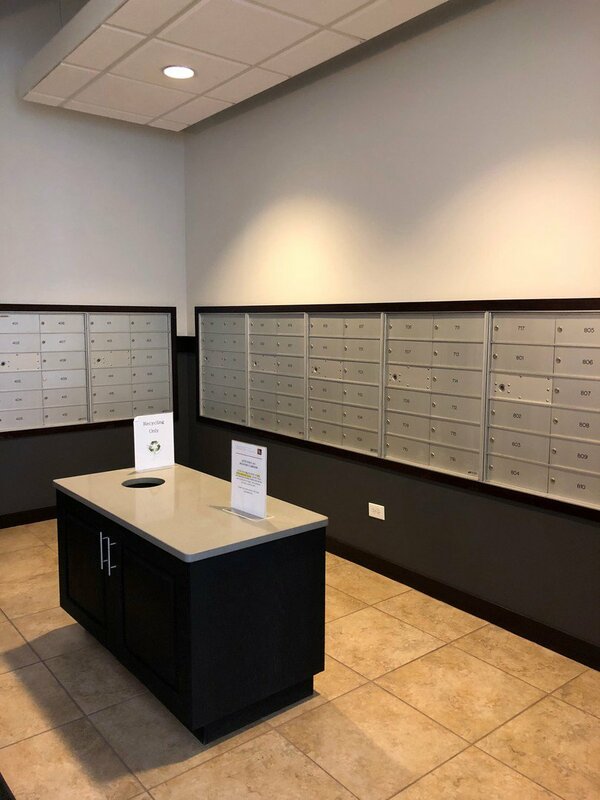 Overlooking a neighborhood park, the unit feels cozy and welcoming, a perfect one bedroom one bath condo to serve as a starter home for young professionals or an in-towner for those who want the best the city has to offer. 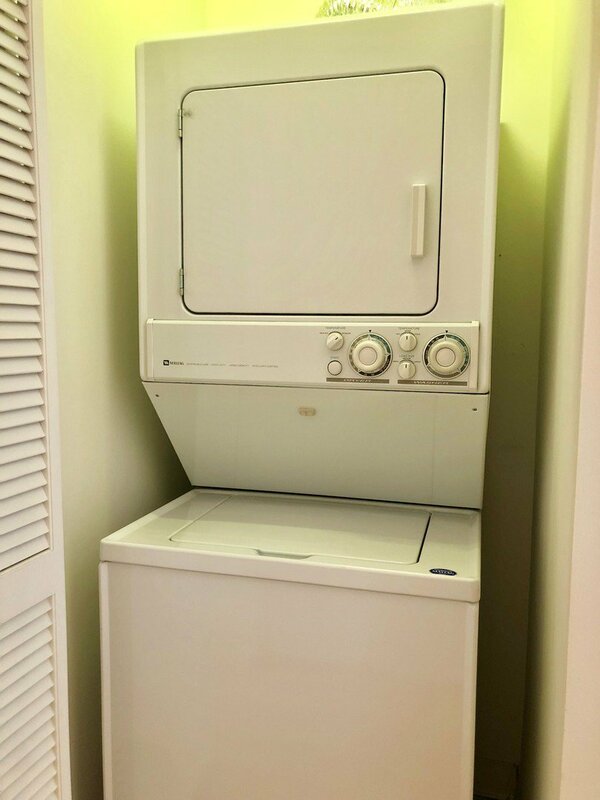 This unit has it all! 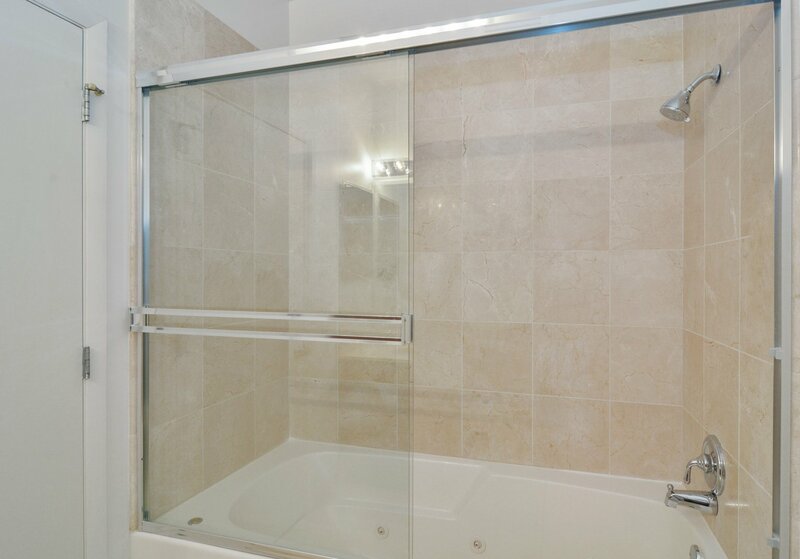 Listing courtesy of Berkshire Hathaway HomeServices KoenigRubloff. 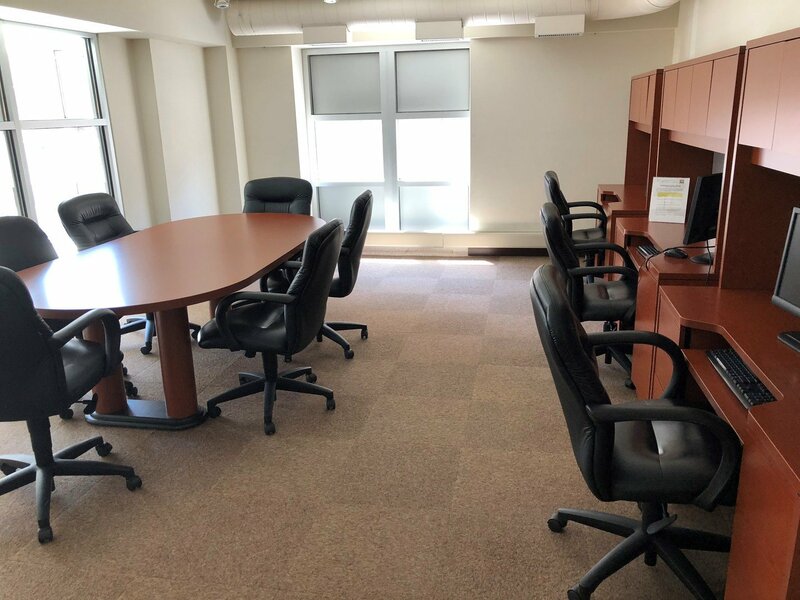 Selling Office: Standard Properties Group LLC.